I haven't been buying a lot of stuff lately cause I was saving for the sales and the holidays so, here's the stuff I have been using the most, and I'm still using, during the last three months. I have been using this mostly as a night pack over my moisturizer, because, being a gel, it is not moisturizing enough for my dry skin. 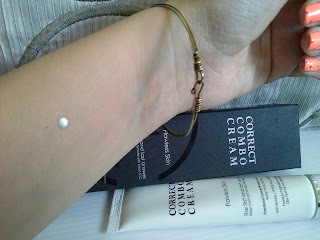 I get a pimple here and there occasionally at that time of the month, and I can say this does not dry out the pimples. However, it helps reduce the redness. It also helps with the healing of wounds: I tested it on a blister that caused a wound on my ankle when it burst a couple of days ago and I can say the wound is healing faster than usually. This is my first CC cream and I love it. 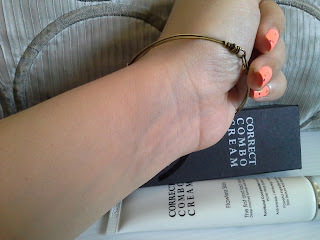 It comes in a tube with a pump and the product comes out white, but it matches my skintone almost immediately after being applied to my face. It is moisturizing, very light weight, it has SPF 35 and it evens out my skin tone. The coverage is very sheer (for what I've heard and red, this is common to nearly all CC creams) so, you still need to apply concealer or foundation/BB cream to cover any bemishes you migh have. I'm hopping to be able to write a complete review of this product soon. 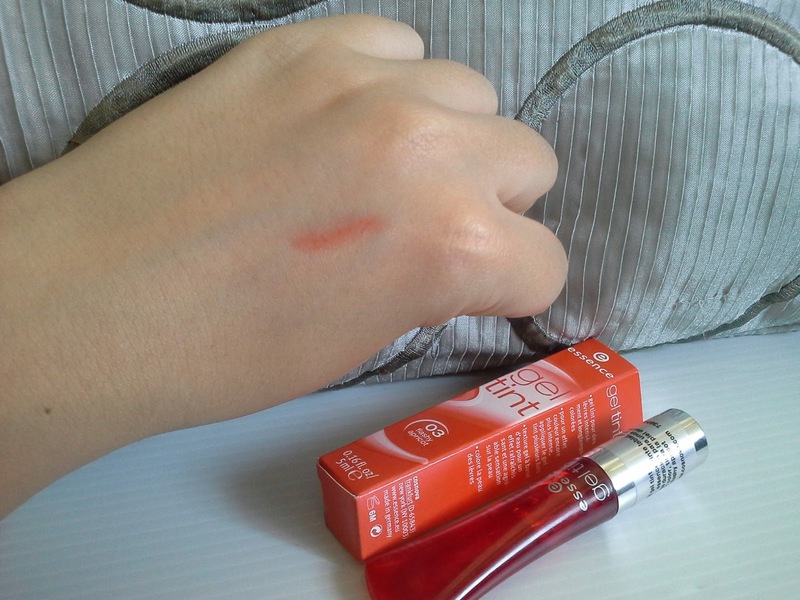 I bought this product because I wanted an orange color for my lips. Favoring tints over lipsticks or lipglosses like I do, I chose this gel tint and OMG, I love it! I like the applicator, I love the texture, it does not dry out my lips, it stays on for a very long time and it doesn't leave any stain in my tea mug. The only downside to me is the flavor, if you happen to taste it (which is not always the case): it’s a bitter artificial flavor. But I liked it so much that I also got it in color #04 pink exposed, and I’m seriously considering getting the third color (a red tint) once I finish my Benetint. I apply this gel tint to my lips, my cheeks and, occasionally, I also apply it to my eyelids for an extra pop of color. I don’t use it every day, but I use it pretty often on my lips and cheeks and I haven’t experienced any breakouts on my cheeks. I'm hopping to be able to write a complete review of this product soon, too. 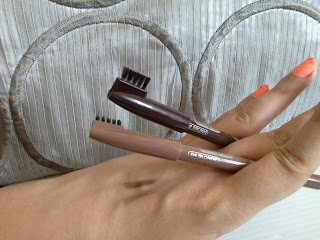 I was using color 02 in the winter, because I dyed my hair expresso brown. But now that I'm progressively getting back my dark/medium blonde hair color, color 02 is too dark for me so, I went ahead and bought color 04 because it is a very affordable brow pencil, and the wax in it keeps the hairs in place. The downside: it needs to be sharpened every now and then. I’ve had this for quite a long time. I use it on my lower lash to brighten up the eyes and hide the redness that comes with spring allergies. I have sometimes used it as a highlighter down my eyebrow bone and on my cheek bones, but the color is a tad too pink to work as such on my yellow undertoned skin. 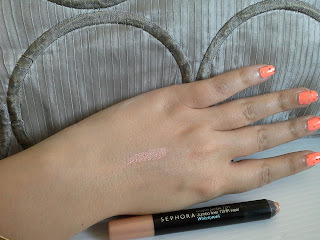 This jumbo pencil is waterproof and can also be used as an eyeshadow. These have a great staying power, are pretty cheap and don't need to be sharpened (which is a ++ for me). 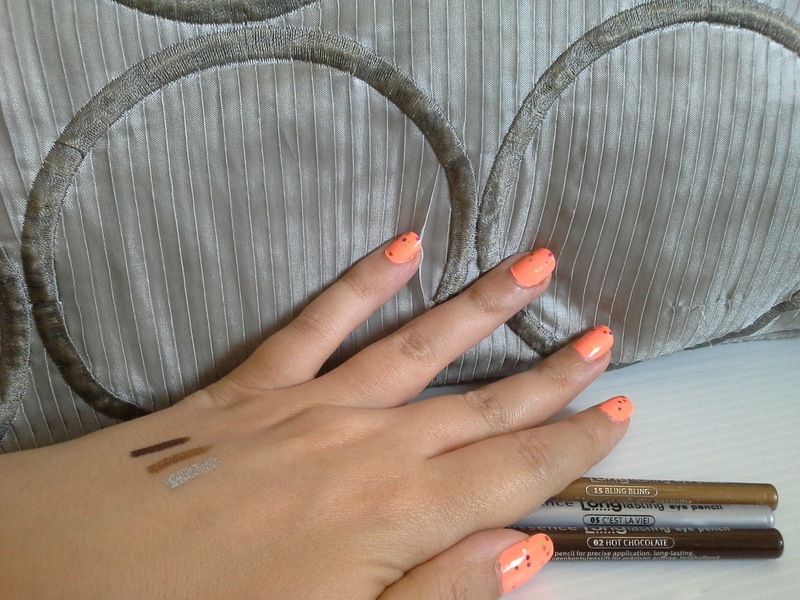 You can also play with them as eyeshadows if you blend them with your finger right after you apply them. if you wait too long to blend them, they will be already settled and you'll just be rubbing them off. The ones I've been using the most are 02 and 05. These things are delicious! 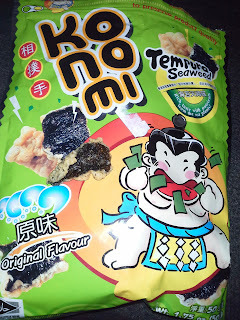 They don't taste like nori at first, they taste like soft barbacue snacks (they taste exactly like Matutano's Bocabits) at first, then you can taste the nori and then it ends with a spicy taste. I like this better than the garlic seasoned roasted seaweed.